The Mula Mutha River ends up in a lake from which another river flows and soon making its way to the opposite side of India and into the bay of Bengal. It is just up the road in the direction of shops, bars, cafes. We end up crossing it a few times per week in our comings and goings. It is unfortunately very polluted but if you look carefully you might find a few cows, pigs and some stray dogs. 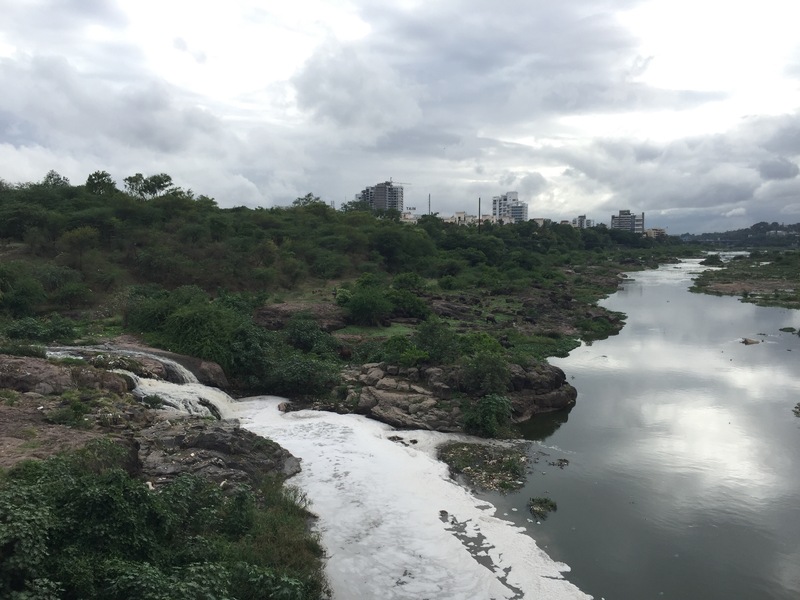 A random fact we learnt is that in 2014 the Pune police found marijuana being grown in the river bed. Previous Where are we again? Por qué está contaminado el río? Porque en India hay mucha contaminacion!